Whether immediate family or global family, we learn valuable lessons. Directly and indirectly we come to an understanding of the self and others. We choose which to follow and those we choose to excuse…both valuable in our personal growth. 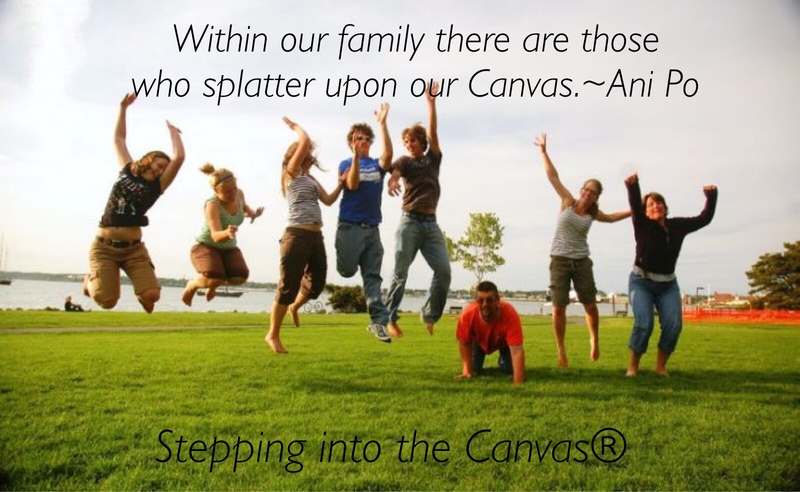 We all have these in our own families, but we have them on a global canvas of life. We can choose to follow the lead of destruction or we can create a better place for the self. Creating a blissful place within, we emanate outward into the world. 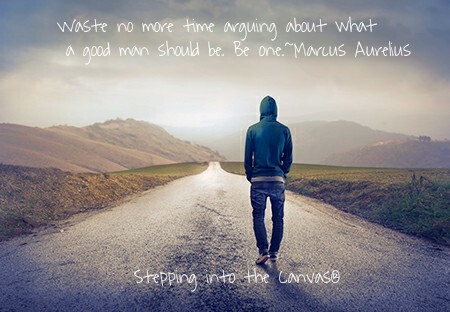 Stepping into the Canvas embracing direct and indirect lessons of life. Giving thanks for this who make a positive impact on our lives, we give thanks to those who oppose our happiness. In the end it is our own destiny to find peace within…loving and accepting all as a beautiful addition to this place within the Canvas. Too often we look to others judging their actions, failing to see our own. Through our judgment of things we fail to be an example of how to be. While there is no right or wrong, we still have a choice to look within our own hearts to witness that which is missing. Focusing on others we miss the opportunity of remaining in our place of happiness. Looking within, adjusting our sails, we come to a place of painting a canvas as we see fit. In doing so the canvas written upon our hearts is a reflection of the world around us. Stepping into the Canvas accepting everything as it is, worrying not about the other peoples steps but our own. In the Canvas of life we can choose to follow or worry about other persons steps or we can carefully and purposefully make our own.